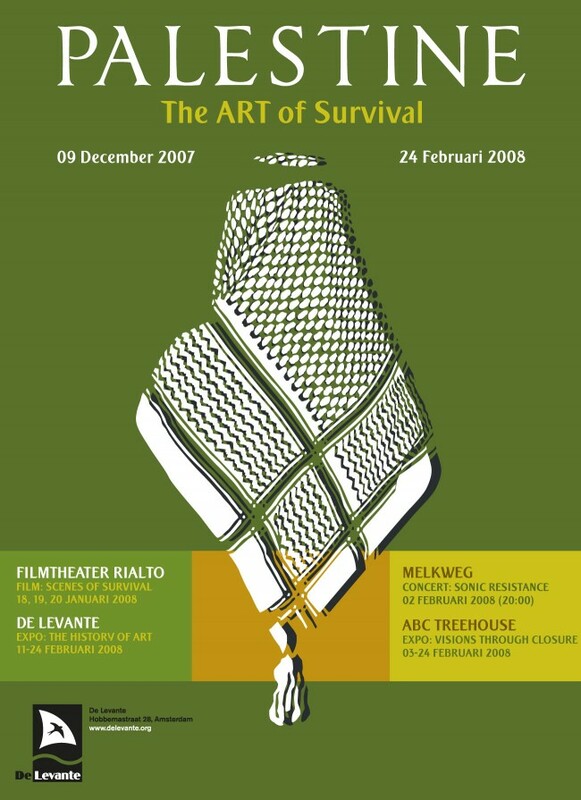 The Amsterdam based De Levante foundation asked Tarek Atrissi Design to create a poster design promoting one of its events: “Palestine: the Art of Survival”. The three month long event in Amsterdam was a series of several events relating to Art and films around the theme of Palestine. 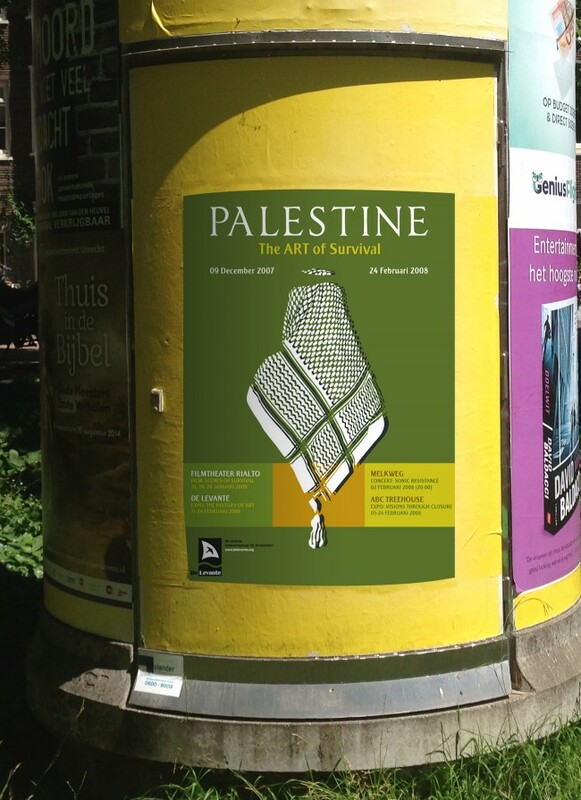 The poster, printed in large A0 format and placed around Amsterdam to promote the event, focused on a graphic illustration of the traditional Palestinian scarf, the koufiya. The illustration, depicted from a back angle of a person’s silhouette, became the main graphic element of the poster. The poster was printed in 3 different color variations (green, orange and yellow), making it constantly changing and more dynamic when multiple posters were placed next to each other.